The stunning conclusion of Otto Octavius' superior saga! Having taken over Peter Parker's body and life, Doctor Octopus is determined to be a better Spider-Man than Peter ever was. And if his clashes with Spider-Man 2099, the Black Cat and Blackout are any indication, he just might be! But as "Peter" earns his doctorate and starts his own company, dark forces gather. Flash Thompson is back in town, and he's brought the Venom symbiote with him! 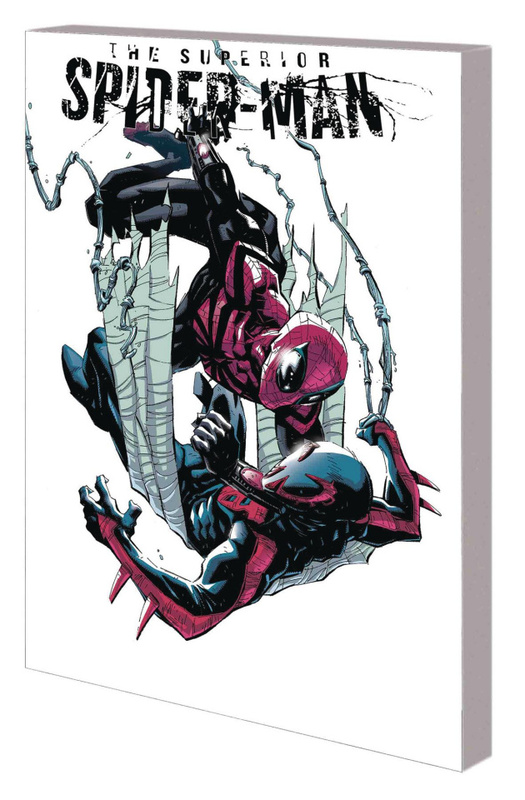 Both know Spidey very well, so will they sense something off about the Superior Spider-Man? And when the Green Goblin takes control of New York's underworld, Otto faces his final battle. The Superior Spider-Man must bring down the Goblin Nation - even if it means his own defeat and the rebirth of an amazing hero! Collecting SUPERIOR SPIDER-MAN #17-33 and ANNUAL #1-2.